Hey guys! 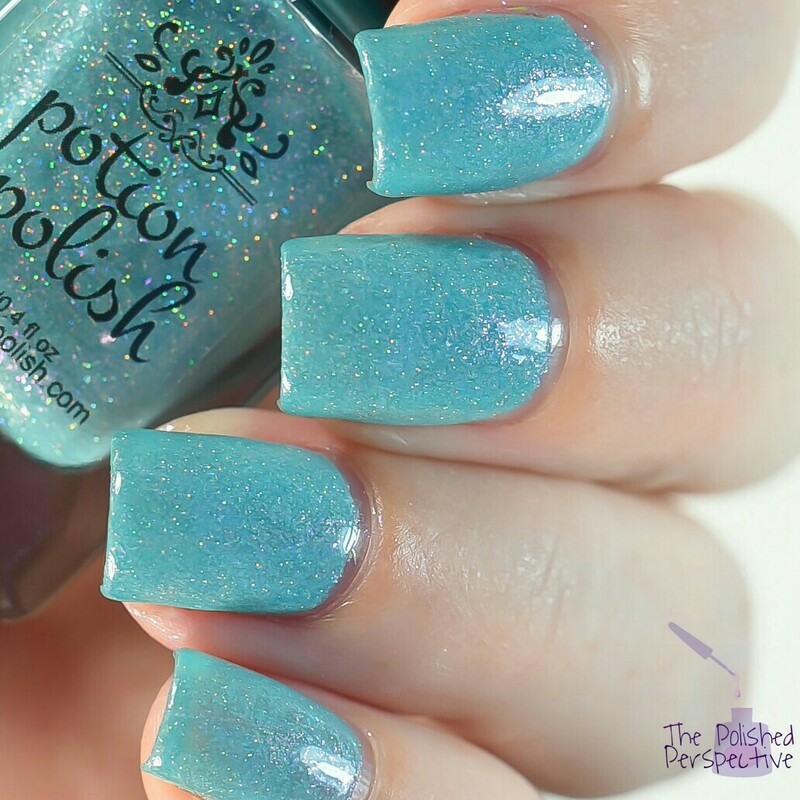 I have a new to me brand that I'm sharing with you today: Potion Polish Coney Island Coaster! I have never purchased from this brand before, but I have seen them around a lot and drooled over their prettiness. I couldn't resist anymore when I saw this one. 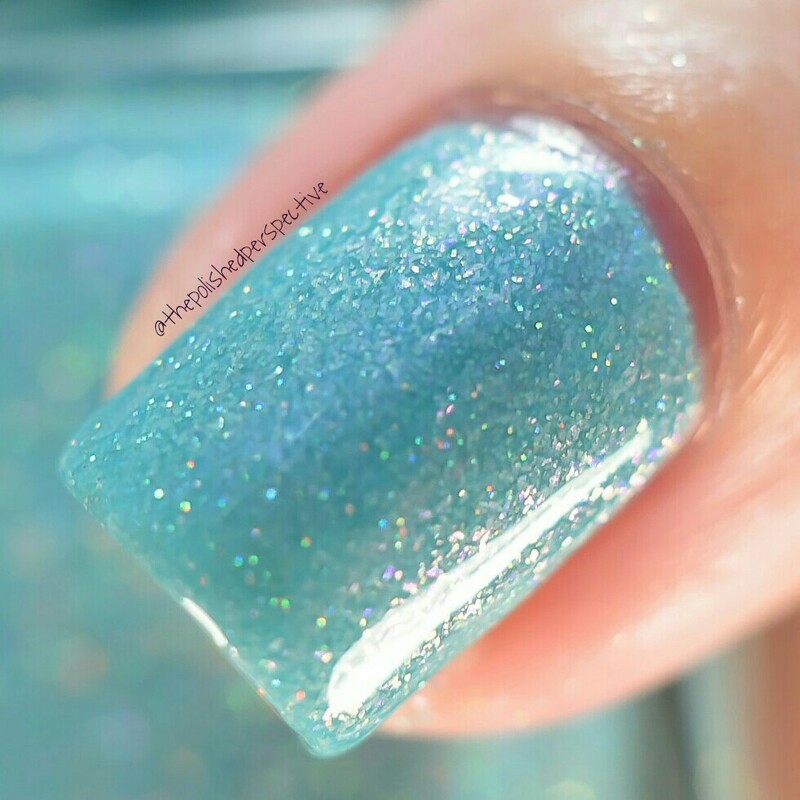 Coney Island Coaster is a beautiful aqua crelly with glass fleck and holo microglitter. My swatch is shown with two coats, one coat of quick dry top coat and one coat of INM Curiousity (a thick gel like top coat). The formula and application are great. I'm really obsessed with this polish! I kept taking pictures! Potion Polish Coney Island Coaster is a limited edition polish from their Summer in New York Collection. I really wish I had picked up a few more when I ordered this. The bottles are great, I love the formula, and shipping was fast. I will definitely purchase from Potion Polish again. It really does remind me of the water by Coney Island. So pretty! So pretty! I haven't tried any from this brand but I definitely would! I'll be buying more! That's for sure! I still don't care for chartreuse. But everything else is a okay! Ive really wanted to try Potion Polish! This is such a stunning blue!!! I have one polish from them. Definitely need more! I've had Potion Polish on my wishlist for so long, this color looks fantastic!! Gorgeous! I love everything I've gotten from Potion Polish! Gorgeous shade! I have a few bottles by Potion Polish, but I need to add this one asap!